Yes, Hendranata’s back on our spotlight with some pretty breath taking mod updates! Before getting to know this most recent fitment-oriented setup, I’d suggest you have a look at his previous article here. 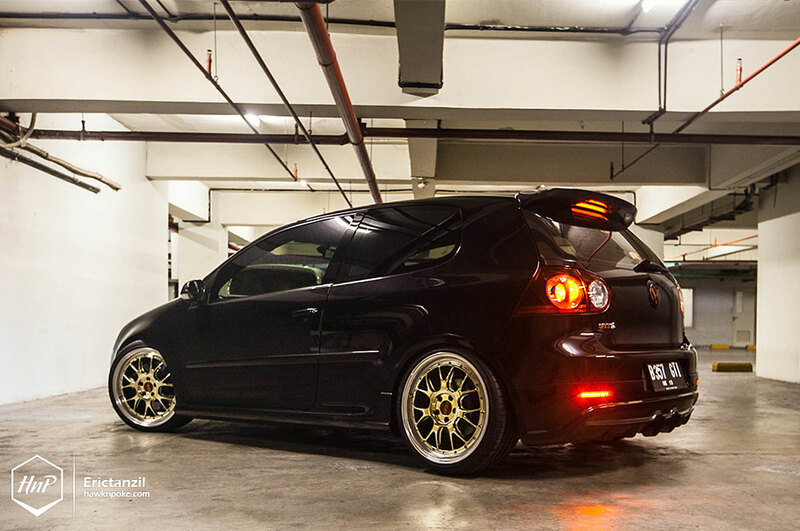 With K04 turbo swap in the engine bay, drool-worthy R-seats inside the cabin and the always-classy wheels, his GTI has surely been prepared yet again to impress us with another breakthrough. This time it’s all about air. Yes, gone are all the lowering springs, replaced with an exclusive setup of Airlift x Accuair system. Time to park lower. Hendranata: “Having done with the engine modifications, I think it is now the right time for some serious suspension upgrades. Specifically, a suspension upgrade to handle all the extra power while achieving a better stance. GTI has always been known as a hot hatch with practicality, therefore I don’t want to take any of that essence away either. After some thorough research, I setlled my mind on an air suspension setup. A performance-oriented one, in this case. It took me about 4 years to research and find the ideal air suspension. My goal was to have a similar handling performance as a coilover setup, but having the car’s fenders touching the wheels’ outer rims when parked. Some of the arguments against air suspension systems at that time were the loss of swaybars, poor management system and incapabilities of high-speed cornering. Thus, I simply waited while settling on an H&R race spring setup. 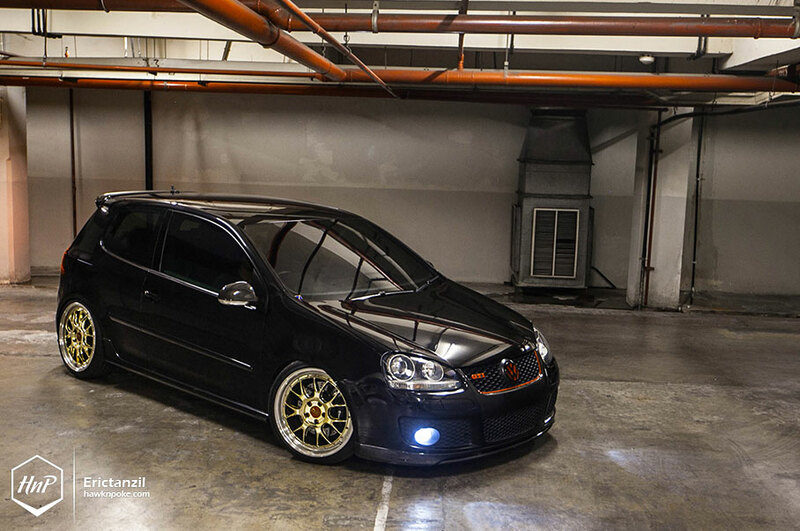 In 2013, Airlift introduced their newest Performance line bags setup for the Golf MKV. Finally a shed of light for my GTI build! It featured 30-adjustable rebound setting, upper mounting plate with adjustable camber, adjustable shock height (similar to coilover) and the ability to retain the swaybar using shorter link rod. This has brought a breakthrough into the air suspension system market. They’ve even published a video of democars running their system while racing around the track. Right away I knew this was the one I’ve been looking for. Apart from the hardwares’ performance, the air management system is also a very important aspect of the kit. 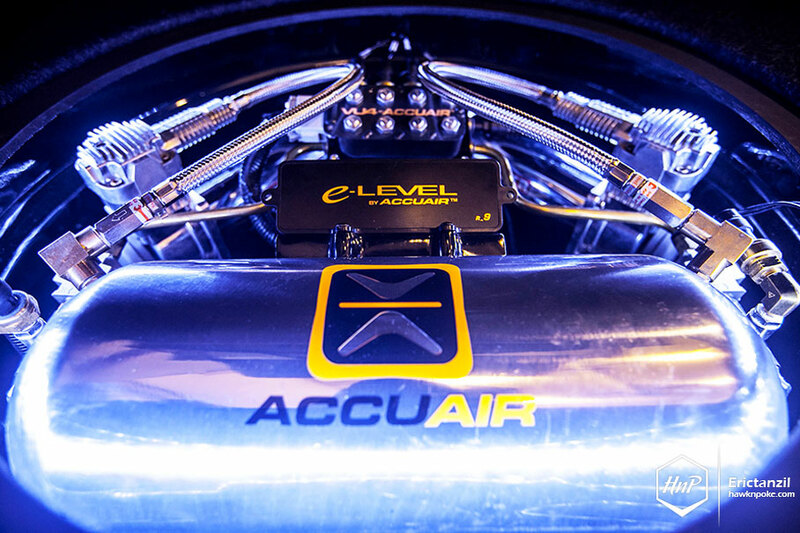 Relying on Airlift for the bags, lines, and all the hardwares, I complimented the kit with an Accuair e-Level digital air management system. Such height-based system offered a much more accurate and stable driving ride-height, allowing the car to automatically adjust bag pressures according to mass load and road levels. 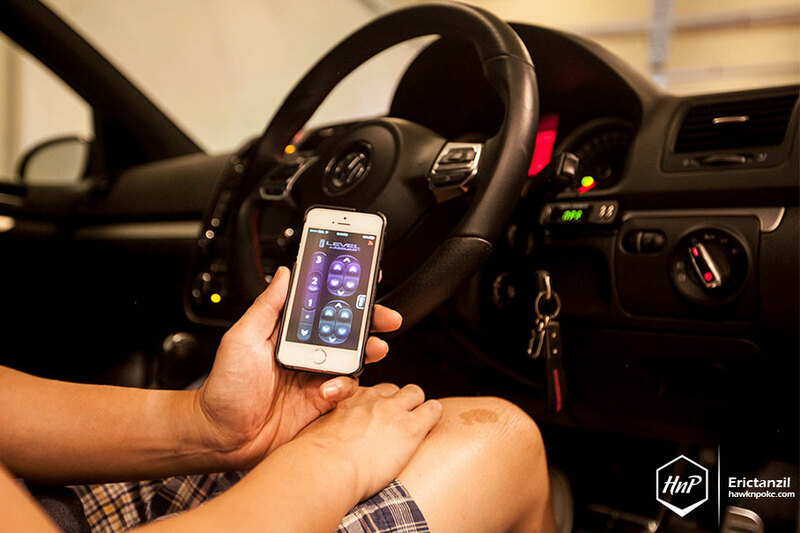 So, no matter how many passengers are in the car, and no matter what kind of uneven roads the car’s on, the system will automatically adjust air pressures to reach the preset ride-height. Yes, a very thoughtful build by Hendranata with his extravagant suspension setup. And in case you’re wondering, pictured above is the driving ride-height, perfectly capable of going through any steep slopes and speedbumps on the streets. I believe the system can go even higher when needed. Wanting to know more about Hendranata’s GTI? Be sure to check out his build thread in our forum.